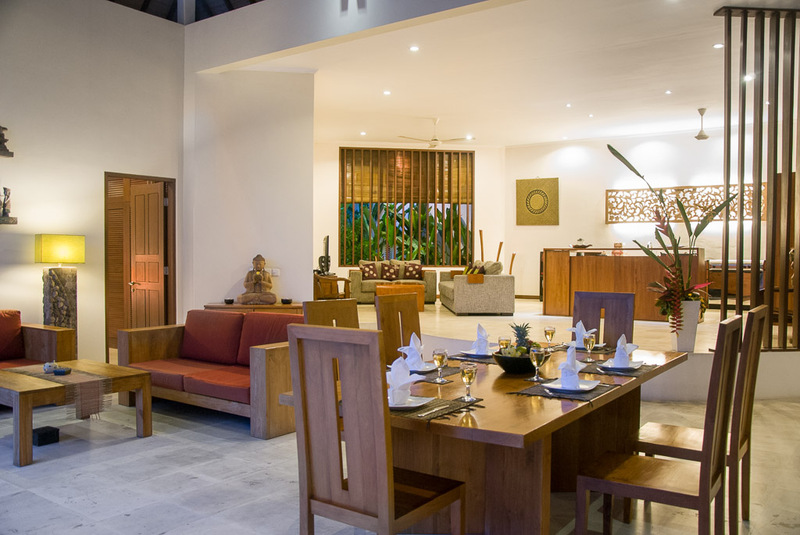 From $ 338 $ 271AUD per night We have direct contracts with most villa owners. We don't add any booking fees. We are 100% transparent with no nasty surprises. 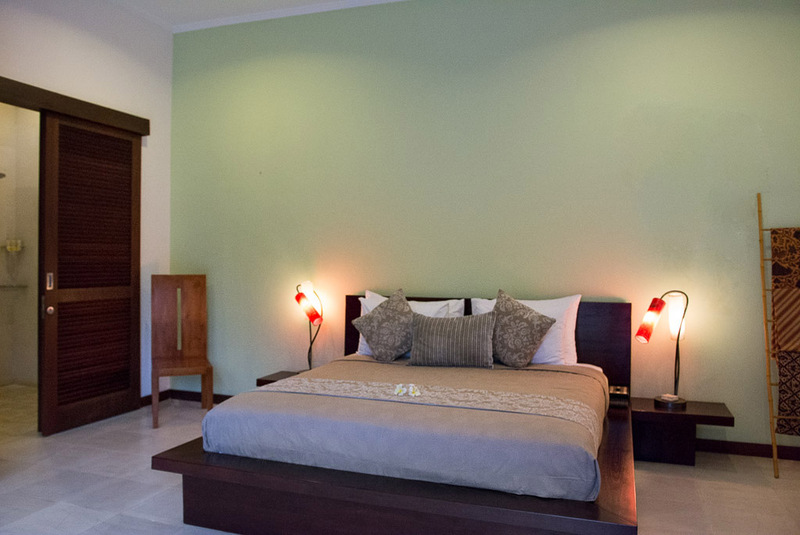 Villa Suliac is a 3 bedroom Legian villa holiday rental in one of Bali’s most popular tourist destinations: Legian. Laid-back and trendy, the area is surrounded by quality restaurants, cafes, bars, spas, local markets, top surfing, chic day spas and fashion boutiques. It is a tourist hot spot. You are also close to the very famous Double Six area and beach which is great if your coming on holiday with the kids. Make sure you go to La Plancha or one of the many beach side bars for the legendary sunset. 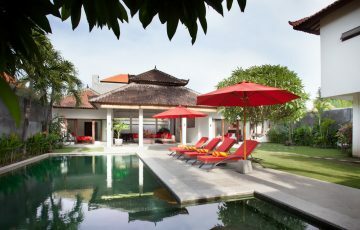 This three-bedroom villa is located less than one kilometer from the famous Double Six beach, renowned for surfing and also a prime location for catching Bali’s celebrated sunsets. 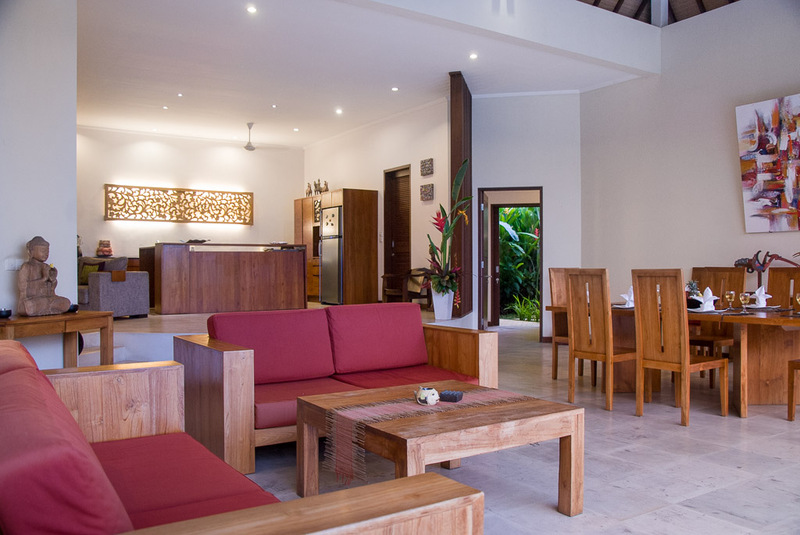 You can rest assured that Legion provides a wide variety of activities and choices for a family holiday in Bali; restaurants, cafes and lots of shopping. 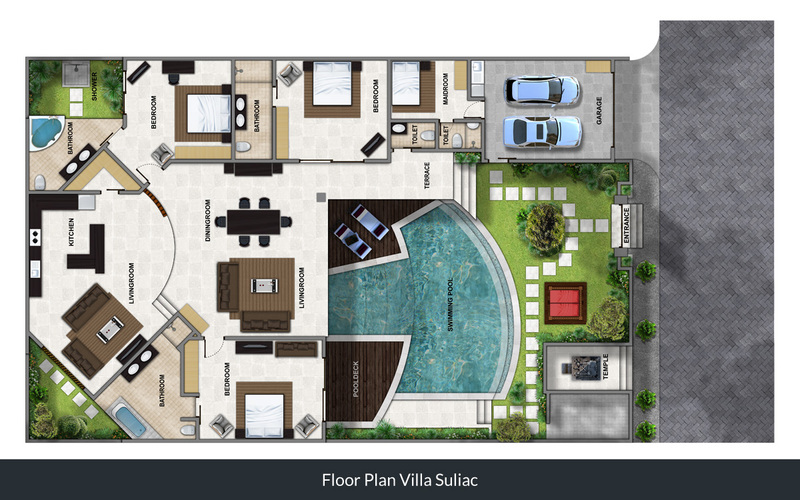 Villa Suliac is spacious and features an open-air concept design, including two distinct living areas, a dining area, and a full size kitchen. 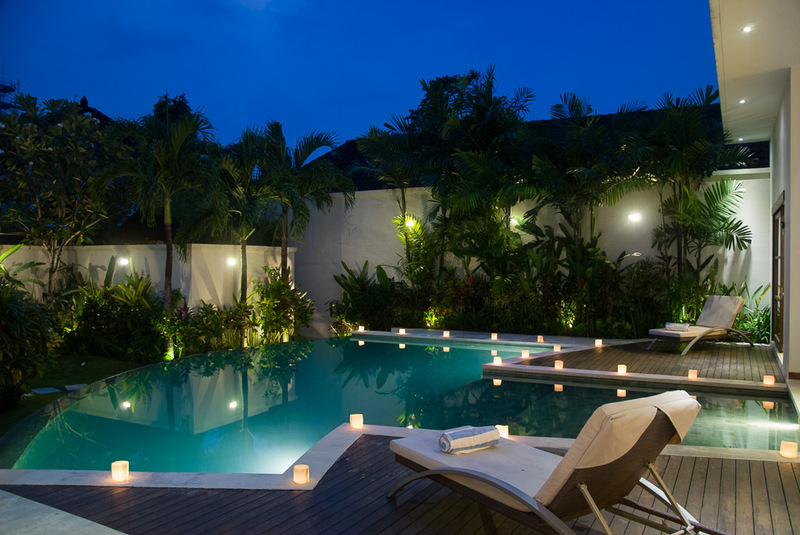 All of these areas overlook a private and large infinity edge swimming pool. 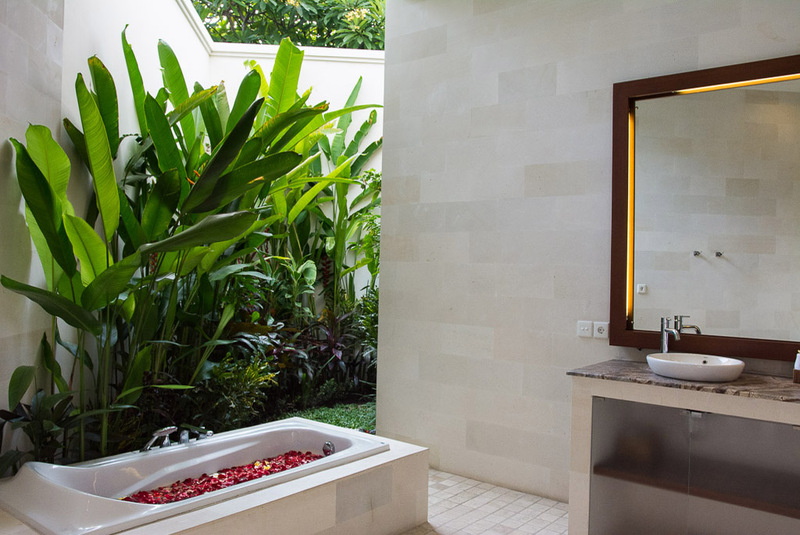 Surrounding this impressive sight is lush, tropical gardens, indicative of the exotic Bali experience. Families with children will be comforted to know that there is a large pool entry area for small children. 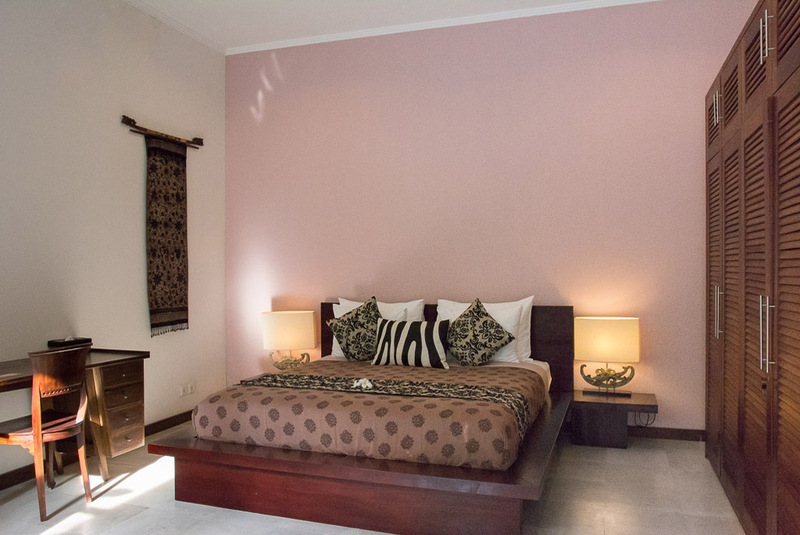 All of the 3 bedrooms in the villa are equipped with air conditioning, king size beds, flat screen televisions with DVD players, and large en suite bathrooms. 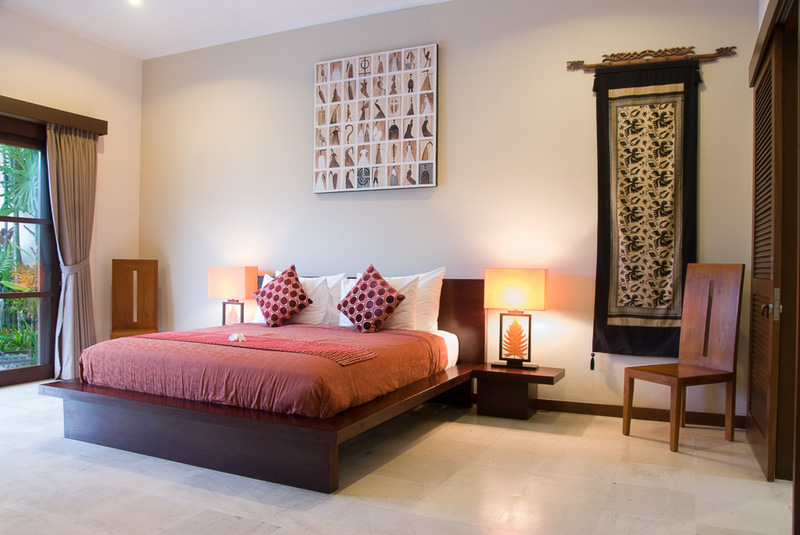 Two out of the three bedrooms have notable Balinese indoor/outdoor concept bathrooms. 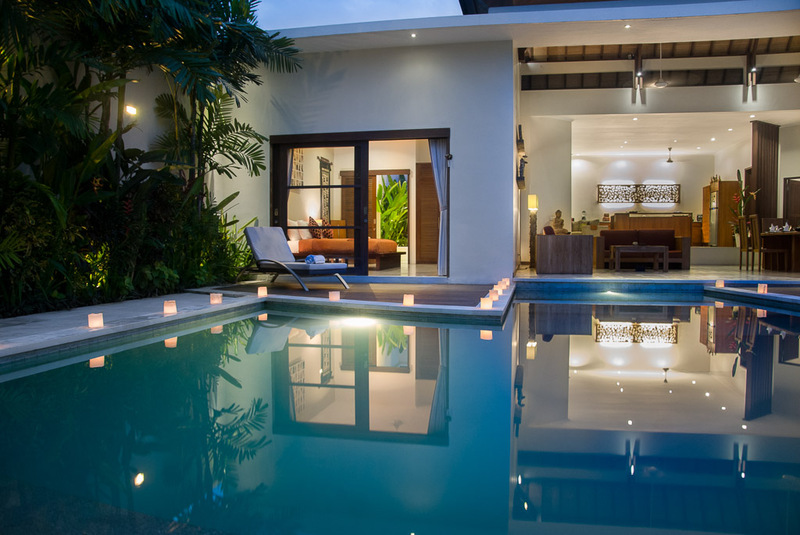 The expansive pool surrounds the suitably placed bedroom patios, which is both convenient and visually appealing. 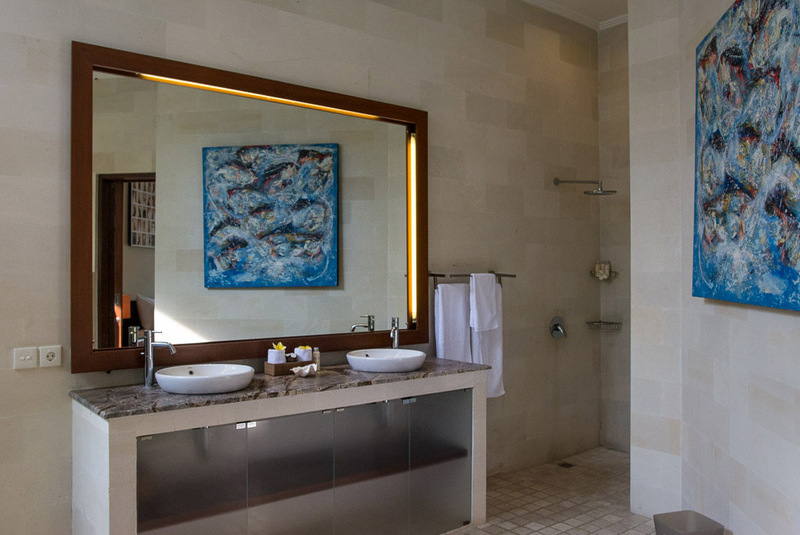 The welcoming staff at Villa Suliac is there to ensure your needs are taken care of during your holiday. 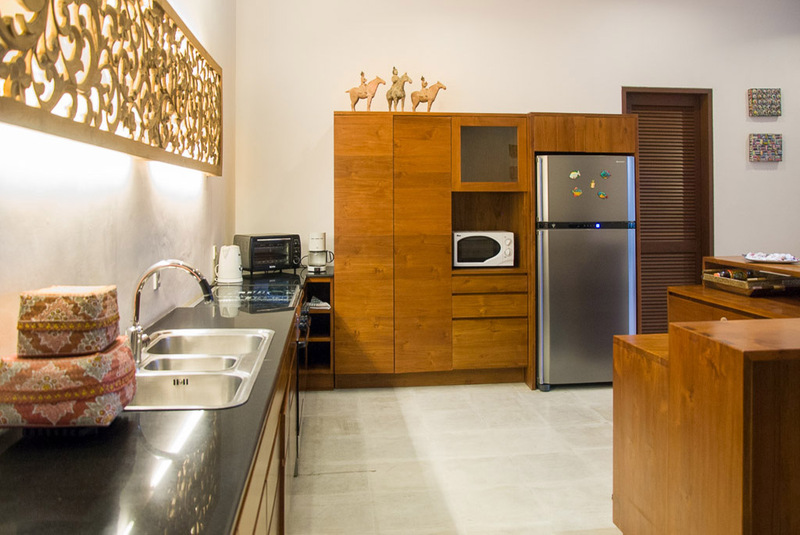 Whether it be assisting with booking transport and tours, helping with grocery shopping, or providing an in-villa massage, the team is there to respond and help. 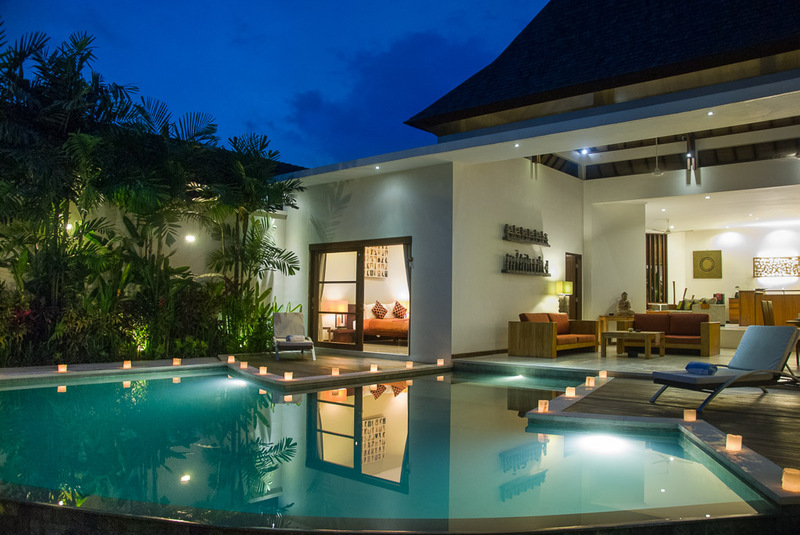 To view other Legian villas near Double Six beach or our extensive range of private pool Bali villas please browse this website or contact our reservation team. 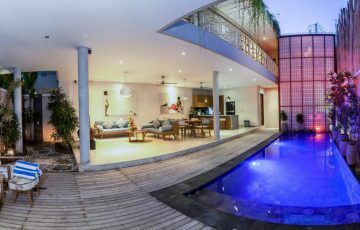 Book your Bali holiday at Villa Suliac well in advance as this is a popular villa, especially if your planning a trip to Bali during the Australian school or public holidays. I stayed with my family in October, 2015. 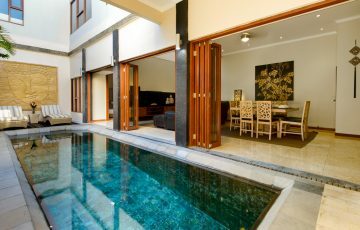 The minute we walked through the door I was immediately impressed by the fantastic pool and garden area.. 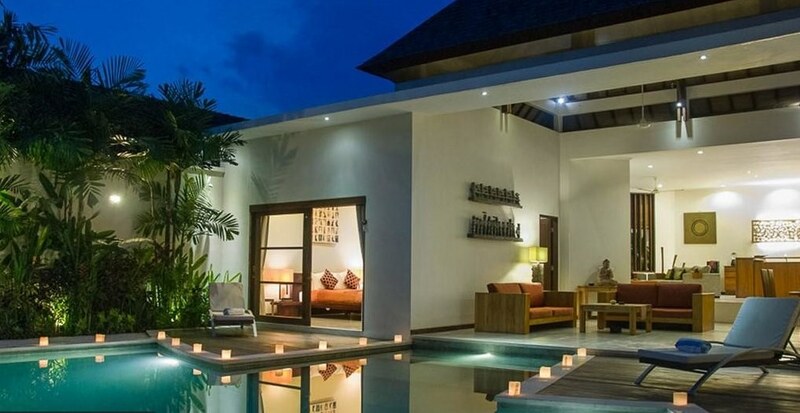 The photos don't do this villa justice, it's really gorgeous. The staff were amazing especially beautiful Weena who we all just loved. Weena went above and beyond and is just such a kind, caring person who we still miss. This place is amazing and we can't wait to stay again. 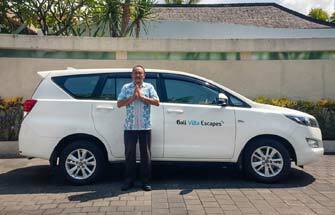 I just want to say a huge thanks to the team at Bali Villa Escapes for organising this villa at such short notice. The attention and professionalism we received from the staff was something we were not expecting. We thought that we would get the usual Bali staff hello and that's about all. But Weena our go to person for everything. Even when the lights failed one night it took 1 quick call and someone was there to fix it within 10 minutes. Nothing was too much trouble for them. 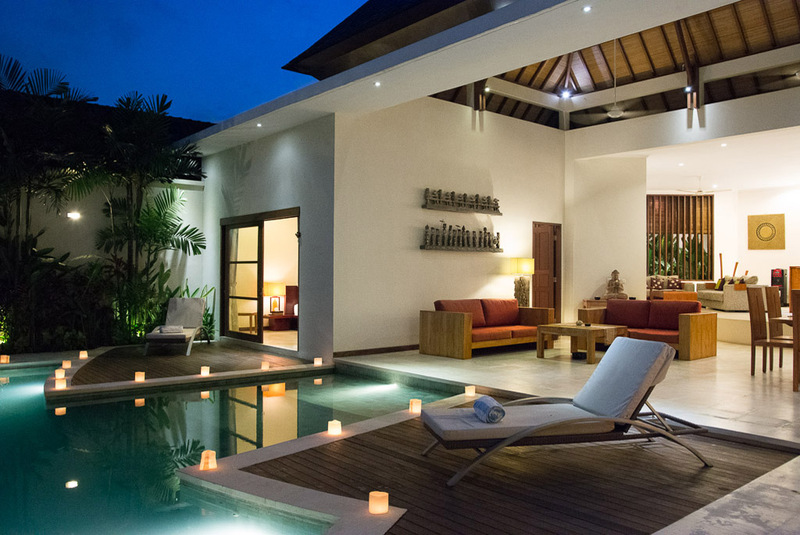 The villa was kept spotless and the pool was cleaned daily. The area around the villa was also good as we found that we could get to Double Six beach and Eat Street easily. There were always taxis driving up and down and they were really cheap! For our family of 5 this was a great villa. I came here with a group of girlfriends for girls week away and Villa Suliac was absolutely perfect. 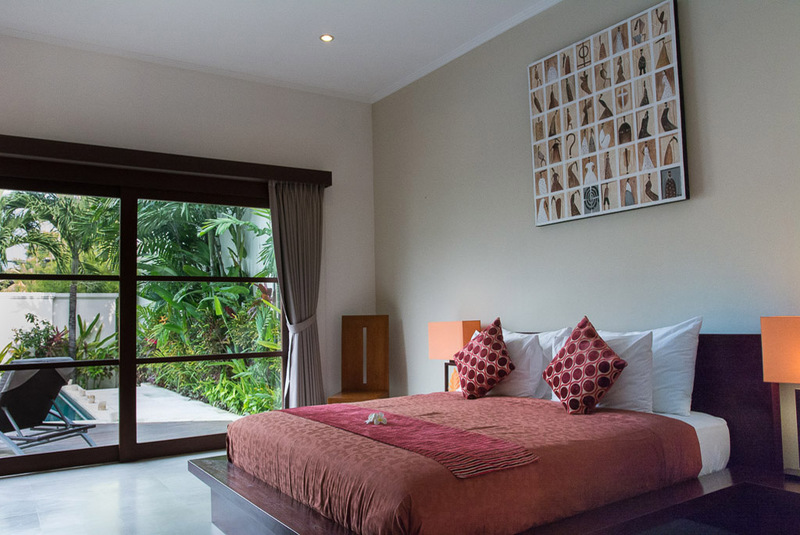 From the clean and very modern bedrooms, to the fabulous pool and garden area this villa ticked all the right boxes. 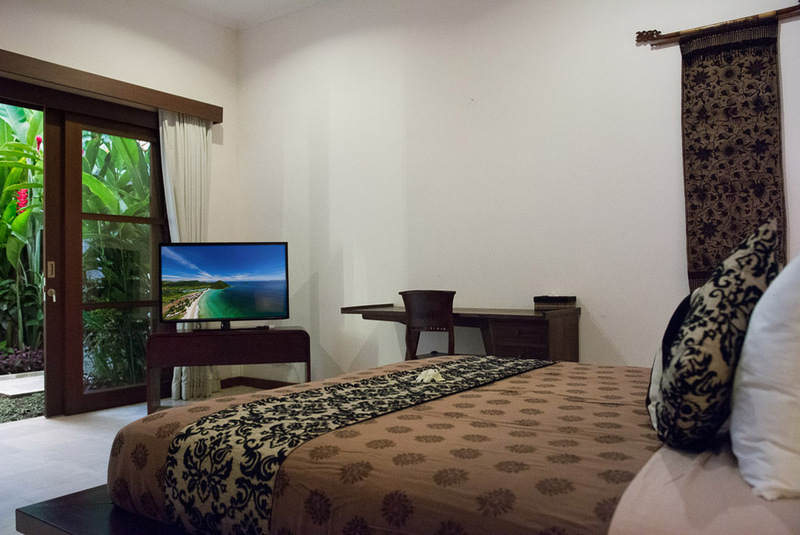 There was heaps of room so we all had our privacy ( loved the en suites) and the location made it even better; literally 5 minutes from everything including Ku De Ta in Seminyak - this villa gets a 10 out of 10 for great value and awesome facilities. Clean, modern, great staff and good value - that's our prerequisite and this was delivered every day. 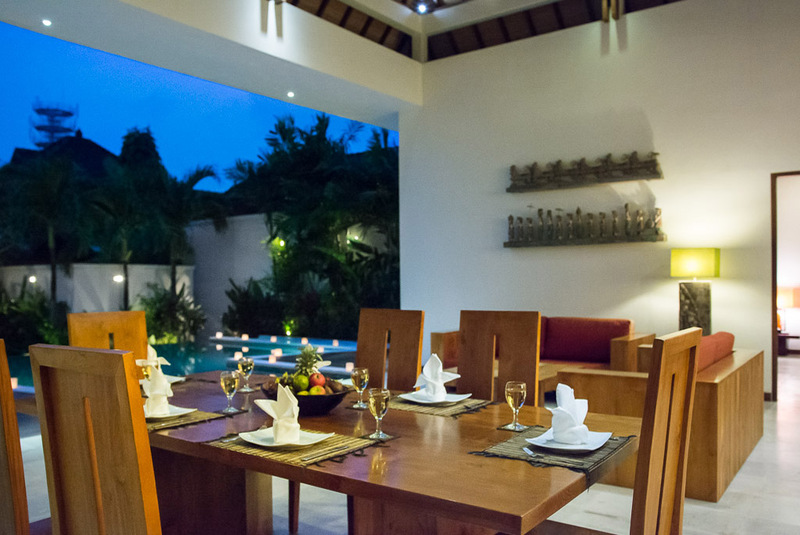 A lovely little villa and perfect for the 4 of us. We love villa Suliac and the location. Plus we also enjoyed the fact that although the villa was near the beach and everything it was very quiet. Could not hear a sound once inside. Would like to be able to come back next year and stay for longer than a week. It was a fuss free booking experience and Ms Ida was very prompt in replying my email inquires. I must say that I am very impressed with her speed and her ability to ensure that the needs of my other family members are met when my son couldn’t board the flight due to insufficient 6 months validity period to Bali. Hence, 4 out of 9 of us had to take the next flight out instead and Ms Ida was very quick to rearrange for our airport pick up separately at a very last minute notice. It was also very nice of her to make an overseas call to me immediately to check in on the status of our situation. Despite our initial hiccups of a seperated travel itinerary, we still enjoyed the rest of our holiday stay at Villa Suliac. 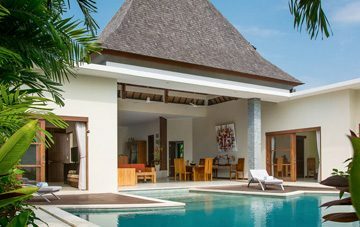 They provided us with drinking water, Villa was kept clean and basically throughout our stay, they would do the regular needed maintenances like pruning the coconut trees, you could tell and feel that they make every bit of effort to keep the villa in tip top condition, very well managed in my opinion. Not forgetting our Butler Wina - she’s such sweetheart to prepare our breakfast with love and she would make up our bedroom and keeps the villa spotless for our return. My kids loved the pool and we definitely would have stayed for more days if the Villa wasn’t so fully booked. 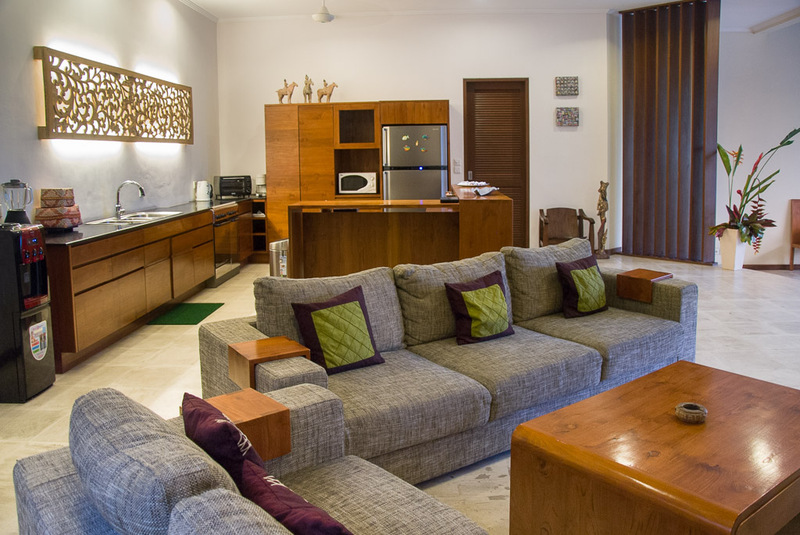 Villa Suliac is a 3 bedroom villa and it’s one of their popular choice of accommodation so do make your booking early in advance.